Taipei, Taiwan – November 21,2017– ADATA Technology, a leading manufacturer of high performance DRAM modules and NAND Flash products, today launched the XPG STORM heatsink add-on for M.2 2280 drives. STORM features an aluminum heatsink and with a fan. It can be easily affixed to any compatible SSD to provide powerful cooling. 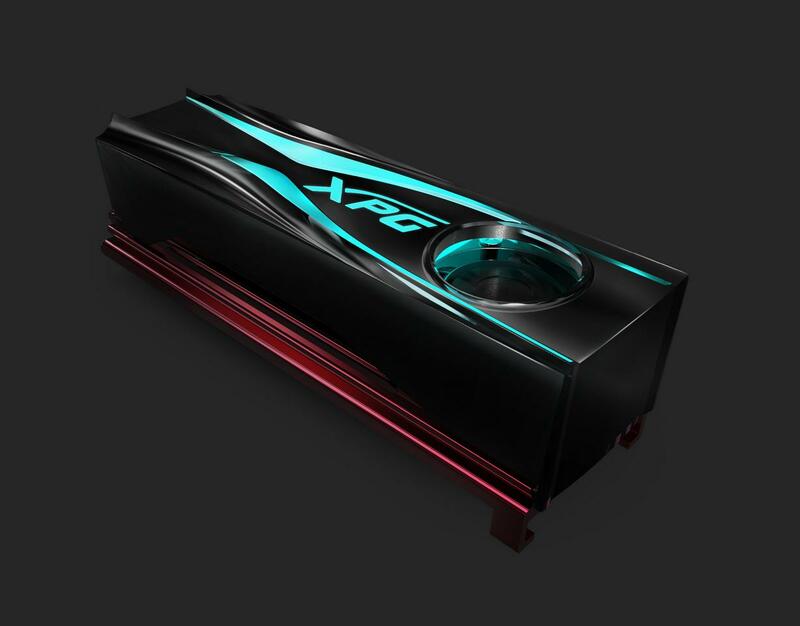 Lower SSD temperatures promote more stable storage and system performance, in addition to the XPG-styled STORM heatsink with its colorful RGB lighting contributing to attractive, gaming-themed PC setups.